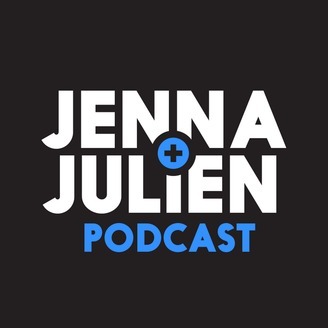 Welcome to the Jenna & Julien Podcast where we talk about all the things. If you are looking for your everyday, normal, by the book podcast, then you're in the wrong place. We created this because we tend to have awesome, random, and sometimes drunk conversations that we realized had to be shared with the lovely internet world. So here we are. We also like to ustream during the podcast to get some live interaction and also quick on-the-spot input on our chats--you can participate here: http://www.ustream.tv/channel/jsolo123 Subscribe to this channel for new podcasts EVERY MONDAY iTunes: http://itunes.com/jennajulienpodcast SoundCloud: http://soundcloud.com/JennaJulienPodcast You can follow us on all the things: Instagram: http://instagram.com/jennajulienpod Twitter: https://twitter.com/jennajulienpod YouTube: http://youtube.com/JennaJulienPodcast Jenna: IG: http://instagram.com/jennamarbles TW: https://twitter.com/Jenna_Marbles YT: https://www.youtube.com/user/JennaMar... Julien: IG: http://instagram.com/juliensolomita TW: https://twitter.com/JulienSolomita YT: https://www.youtube.com/user/TheFight... Category.